Evergreen has a national reputation for educational excellence, environmental leadership, exceptional value, and more. The Evergreen State College is an accredited, public, liberal arts, four-year state university. We have approximately 4000 students pursuing four-year degrees in more than 60 fields of study. About 300 students are pursuing master’s degrees. 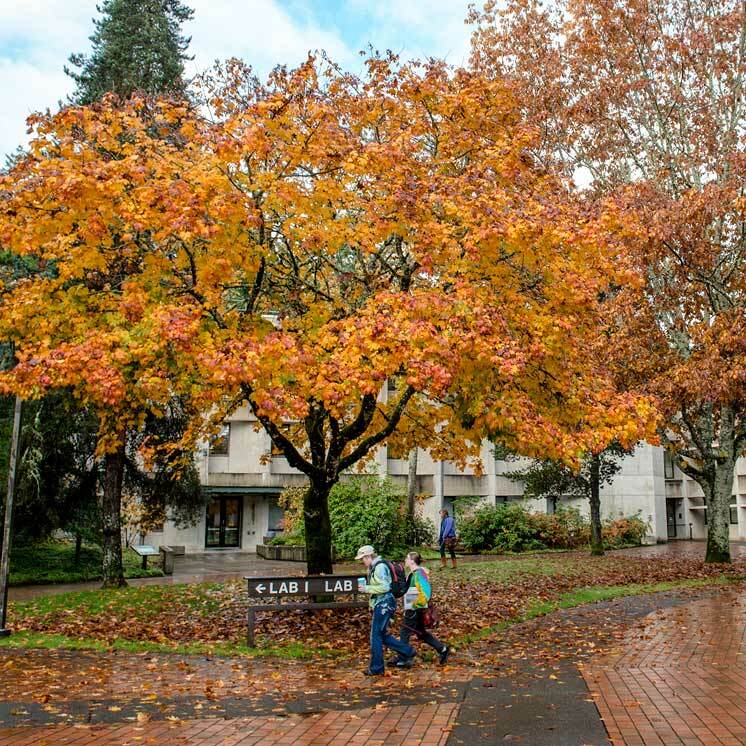 Princeton Review Best Colleges guide has featured Evergreen as one of the nation’s best undergraduate institutions. They describe us as a “best value.” Read more about our reputation. Minimum scores are TOEFL iBT 79 or IELTS 6. See Admissions Requirements for Undergraduate International Students. Learn more about Evergreen’s academics. Students who attend Evergreen go on to graduate schools and a variety of careers. Read about some of our successful graduates. International students like Camila, from Venezuela, come from around the world to explore the culture of the northwest United States. Explore Evergreen’s campus with the virtual campus tour. The tour guide, Erin, will meet you on the parkway and walk around the entire campus. The 360-degree panoramic images will put you right in the center of Red Square, the Organic Farm, the biology lab, the arts annex atrium or freshman housing. The Evergreen campus is five square kilometers (400 hectares) with a forest, organic farm, and a beach. Students living on campus enjoy spacious dormitory rooms or apartments. An average apartment bedroom is 9.3 square meters and the average kitchen area is 37 square meters. Read more about housing. Explore the many options of campus life. 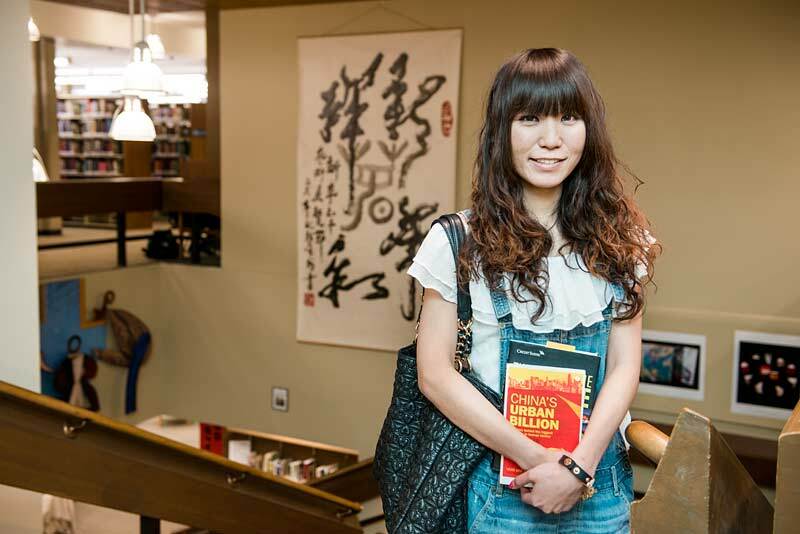 Chia Ying Chang, an international student from Taiwan, is studying business here and considering pursuing a master’s degree in public administration at Evergreen. The region features mild weather. Winter temperatures are rarely below freezing. Summer temperatures average 22–26 degrees Celsius. Olympia is the center of government for Washington state. The city is safe yet active, situated among lakes, mountains, and forests. There are many great outdoor activities, a vibrant downtown, and easy access to Seattle and Portland. Attending university in the United States can be both rewarding and challenging. You are not alone. Supportive students, staff and faculty are available to answer your questions. International Student Advising is here to help you succeed.